Aesthetics Hawaii is the latest practice in Honolulu to offer CoolSculpting and DualSculpting (Two CoolSculpting machines that offer treatments in 35 minutes). After testing various non-invasive fat dissolving technologies – we chose CoolSculpting over SculpSure and other machines because: 1) it was significantly less painful – cooling technology is more tolerable than heat; 2) had better overall results and higher patient satisfaction. How does it work? The CoolSculpting® procedure eliminates stubborn fat safely and effectively, without surgery or downtime. This fat reduction treatment is the only FDA-cleared procedure to use controlled cooling to safely target and eliminate diet- and exercise-resistant fat. CoolSculpting results are proven, noticeable, and lasting, so you’ll look and feel great from every angle. The CoolSculpting® procedure is a great way to get rid of those pesky problem areas. These CoolSculpting patients saw great results without needles, surgery, or downtime! 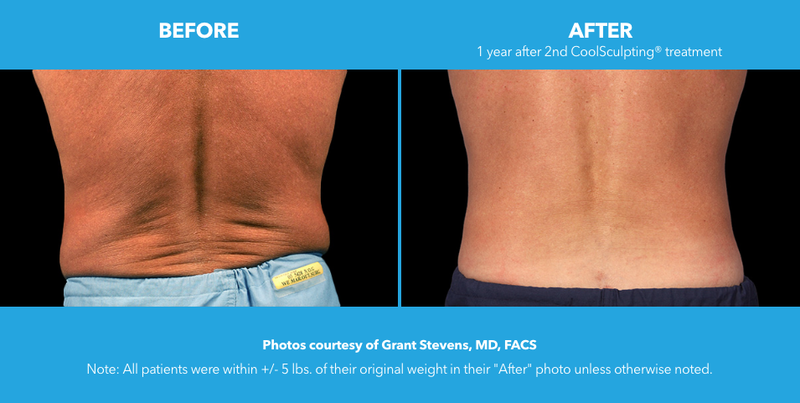 CoolSculpting® has been turning heads, getting rave reviews, and even winning awards. Watch media highlights and hear what some of top beauty journalist have to say!